Want a convenient way to keep track of what's going on with the DCG Soccer Club without checking the website? Follow the DCG Soccer Club on Facebook, Twitter, or RainedOut. It is easy and convenient to do. All the major news items are cross posted with links back to the website and you can get field closure alerts right on your mobile device. Follow the DCG Soccer Club now! Uniforms should be ordered through Soccer Master, 3233 100th St, Urbandale (515-270-8141). Please order your uniforms early to ensure you have them for the start of the season. Orders take at least two weeks so plan ahead! Order at the store (3233 100th Street, Urbandale) - uniforms will need to be picked up at a later date. Soccer Master does not sell the uniforms on demand anymore, this is their store policy. Order online via MyUniform and pick up at the store when ready (recommended). Order online via MyUniform and have the uniform delivered (for a fee). To order online goto MyUniform. Remember, if you are U7 and up, you will need BOTH jerseys (there is only one option per color, Red Champro Captain's and White Champro Leader jerseys). If you are U5-U6 you only need the red jersey, shorts, and socks. DCG soccer is looking for energetic individuals to join our team of referees. You will need to be at least 12 years of age and have completed a certification class. Classes are currently being offered at the following locations. Check out the Referee Flyer for additional details. If you would like to earn extra money and have fun doing so please become a referee for DCG soccer. 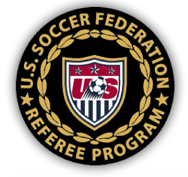 As we continue to make changes to our program we have added new bonus and reimbursement opportunities for referees. See the Referee Bonus and Reimbursement Policy for details. 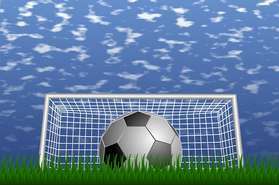 Soccer Field Painting Volunteers Needed! The Dallas-Center Grimes Soccer Club takes a lot of pride in our soccer complex. One great way to get involved is by helping paint the soccer fields. The time commitment is approximately 1.5 hours once during the 8 week season. We usually paint on Thursdays or Fridays after the city has mowed and before the weekend games. No experience necessary. 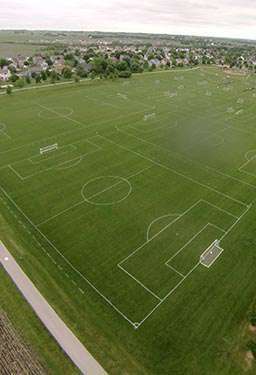 The DCG Soccer Club is looking for a volunteer to join the board as the Director of Fields. This is a fantastic opportunity to support Youth Soccer in the DCG area and share your talents with the community. If you have interest in the position, please contact the President (president@dcgsoccer.com) for more information. The ISL Level 3 Central League Rules for U9-U19 are now available. We are looking for volunteers to help paint the fields throughout the season. Our club takes great pride in the soccer complex and this is a great opportunity to help contribute. We are asking for a time commitment of about 1.5 hours once during the 8-week soccer season. We usually paint fields after work on Thursdays or Fridays each week after the city has completed mowing and before the weekend games. No previous experience necessary - the Director of Fields (David Kurth) usually paints the fields each week with the volunteer. If you are interested, please contact the Director of Fields (fields@dcgsoccer.com) directly by email. We are offering again this season a free DCG soccer painting T-shirt for those who volunteer.